Compare that to the largely bottom up U.S. economy where millions of consumers and businesses make millions of unique decisions every day. It is messy, with lots of mistakes and failures along the way, but the result is adaptability and a resilience of the system as a whole. It is worth noting that over the past 75 years, command and control economies have a dismal track record over the long term. Nothing better demonstrates the daunting challenges facing China today than its Belt and Road Initiative (BRI). BRI is Xi Jinping’s audaciously ambitious plan to extend China’s sphere of influence and control across the Pacific basin and into Africa and Eurasia. Begun in 2013, it is far and away the largest and most expensive set of infrastructure projects ever imagined, much less executed. It includes building ports, terminals, railroads, highways, bridges, telecom networks, pipelines, damns and power plants in 70 countries at a total cost by some estimates of $26 trillion by the year 2030. By point of comparison, the Marshall Plan to rebuild Europe after World War II cost $130 billion in today’s dollars. China has been spending that much a year since 2013. BRI also seeks to utilize China’s excess capacity in industries like steel and coal to keep workers employed. Five years in and BRI is showing signs of stress including excessive debt, delayed projects and pushback from countries facing foreclosure on ports, terminals and other projects built by China’s State Owned Enterprises (SOE) and financed by Chinese banks. It is not a stretch to consider BRI as a 21stcentury version of imperialism. President Xi and China now face slowing growth and a contentious trade confrontation with the U.S. Magnus warns that BRI “could turn out to be an example of ‘hubristic overstretch’” and that there is “a brittleness in Xi Jinping’s China which is not apparent when considering only the supposed omnipotence of the leader and the Party. 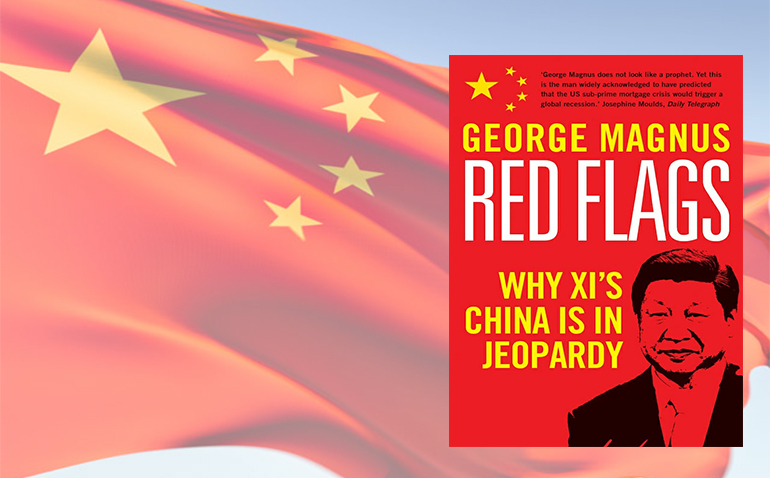 That places Xi’s China in jeopardy.” The Communist Party ruled Russia for 72 years before its collapse in 1989. China’s Communist Party has now ruled China for 70 years.